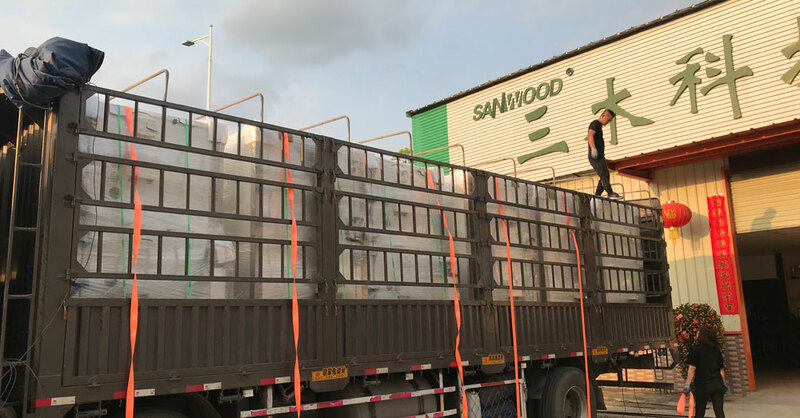 SANWOOD shipped a series of High Low Temperature Test Chamber - China Sanwood Environmental Chambers Co., Ltd.
1.Explosion-proof High and Low Temperature Test Chamber is composed of the chamber, refrigeration systems, heating systems, air circulation system and control system. 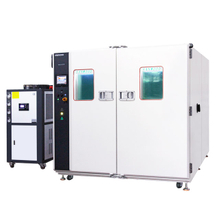 2.The Battery Explosion-proof High and Low Temperature Test Chamber is made of high quality SUS#304 stainless steel material,the outer shell adopts A3 steel plate,surface electrostatic spraying. 3.Insulation system uses superfine fiberglass wool or polyurethane foam so as to ensure the temperature of inside chamber. 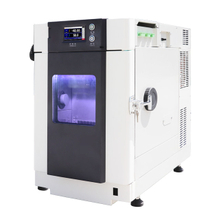 4.Temperature and humidity control adopts Korean import TEMI360 programmable touch screen temperature and humidity controller, with automatic calculation of PID function. 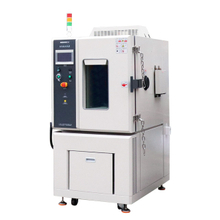 5.Adopts steam humidifying method, automatic water circulation loop,with functions of automatic filling water. 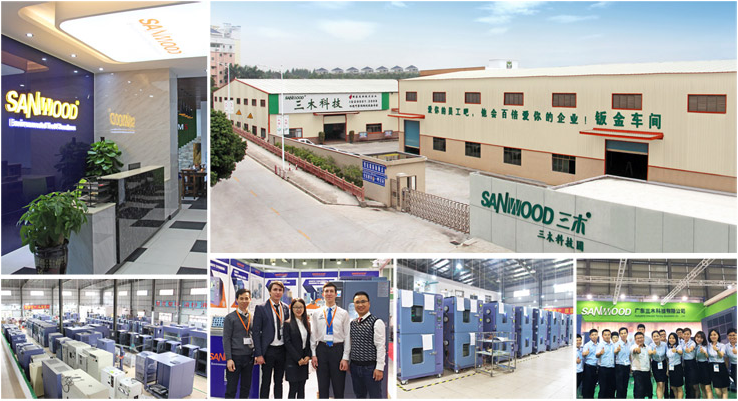 6.Refrigeration system adopts original France "Taikang" refrigeration unit and full sets of refrigeration parts. 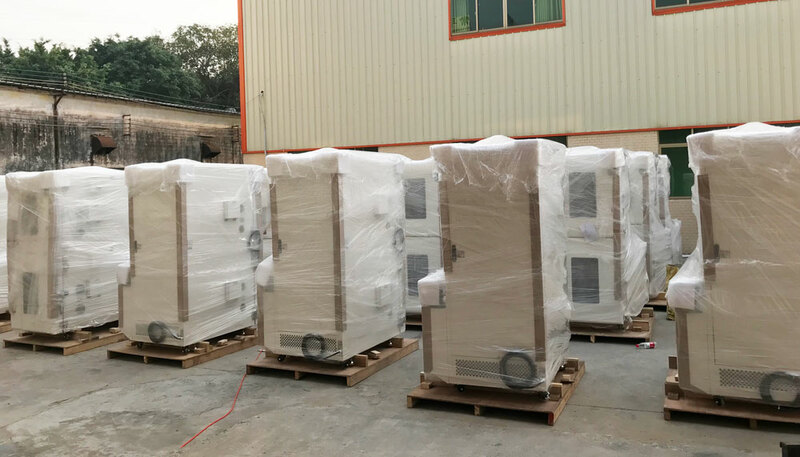 8.The system of heating up, heating down, dehumidifying, and humidifying can be operated independently so as to reduce the cost of testing, extend the operating life of the machine and decrease the failure rate. 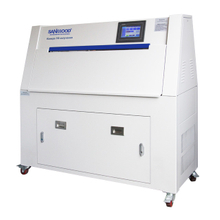 9.Powerful multi-wing type air circulation which can ensure even temperature distribution inside the working chamber. 10.With larger transparent viewing window and lighting inside to observe the test. 11.Door seal adopts silicone rubber material which can avoid aging and hardening in high and low temperature conditions. 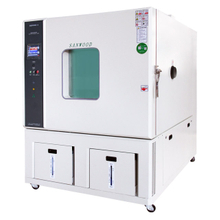 12.Standard configuration with one test hole on the left side of the chamber for easy testing operation and temperature measurement. 13.With various of safety protection device such as leakage and outage protection,compressor overpressure protection,overload fusing protection,audio signal alarm.